Mozilla famously challenged the dominance of Microsoft's Internet Explorer when it launched Firefox 1.0 in 2004. 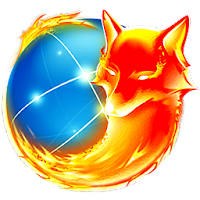 I like many have used Firefox for well over a decade on Windows Linux and Android. Firefox 57 is not an incremental release like the others, but something new. Historically, Firefox ran only on a single CPU thread. However, Firefox 57 has evolved the entire browser experience by allowing its browser to take advantage of all the multi-core processing power on modern systems. Multi-core processors are so common these days, as time goes on CPU counts will reach even higher at lower and lower prices. What use is a 16-thread plus processor if we're only using one thread for web browsing? Now because of that, the Firefox may consume less memory, but its CPU usage is off the charts. I tested Firefox Quantum on a Laptop with an Intel Celeron 847 (Sandy Bridge) which is an Ultra Low Voltage (ULV) dual-core processor. The system has just 4GB of ram and this browser never made the laptop hard to use or unresponsive. So if you have a system with a Ryzen 1700 with 16GB ram, CPU usage is not going to be an issue. Aesthetically, Firefox looks just like both Chrome and Chromium. So the interface is well organized, uncluttered, which makes navigation easy. It has a voice interaction add-on, which lets you browse the internet using simple voice commands. It includes a built-in PDF viewer, which means you don’t have to open PDF files in a separate program. A problem you will run into going from Firefox 56 to 57 is extra restrictions imposed by WebExtensions which means some existing add-ons are simply unable to do what they once did. So, in other words, legacy extensions will NO longer work. However, should decide to upgrade you will notice that the new Firefox Quantum is blazing fast. I do see speeds up to twice as fast as a year ago. As stated before the multi-process capability, for example, is a major part of Quantum's speed boost. Web browsers are like operating systems these days. They are not just for looking at web pages anymore. It's your email reader, music player, video player, video conferencing, you can even do gaming. Firefox does come pre-loaded on most Linux distros, so if you are reading this post most likely you are already using Firefox.